Goals 2014: How Are You Managing Your Risk Of Failure? 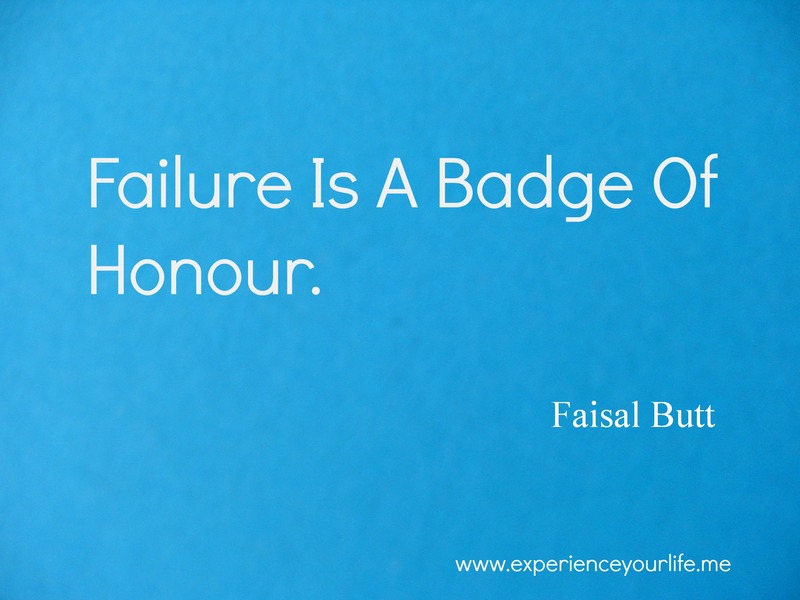 Do You Feel Failure Is A Badge Of Honour? Despite your risk management strategy have you ever failed when leading a new project / stepping into a job role / taking on a leadership challenge? You might recognise the warning signs pointing to ‘Failure Ahead’: a cycle of sleepless nights; mounting frustration and anxiety during the day and ultimately, the admission of defeat. Are There Positive Lessons From Failure? If you answered ‘Yes’ to the opening question here’s another one to consider. What did you learn from your experience of missing your goal? Having looked at Success in a recent post it makes sense to consider Failure now. There is even an upside when comparing your failed outcome, to the success you planned for. You have the chance to try a different approach next time. I learned just such a positive lesson from a failure in my past. In a nutshell, pay attention to your gut instincts when they are telling you ‘nope, this really isn’t working out’. connecting to more people to create an effective support system for yourself. What Are The Real World Benefits Of Failure? What Does Research Say About Failure Leading To Success? Interestingly Barclays’ research (regarding high net worth individuals) suggests that 51% of those sampled agree past failure in entrepreneurial endeavours increases the chance that a new business will succeed. So that may mean leaders are, on balance, more optimistic than not in the face of failure. Optimism seems to be a key component in perseverance, whether in business or other parts of life. What Are You Doing To Manage Your Risk Of Failure? How does your leadership strategy prompt your actions which limit the risk of failure? What steps do you take to maintain and strengthen your stock of optimism? How could your support system / professional connections help you achieve better results? Goals 2014: What’s Your Formula For Leadership Success? How is your week working out? Hopefully you have successfully dealt with your Urgent and your Important tasks and you can turn your attention to some strategic planning. As you think about your strategic leadership goals, what would you consider is your formula for success? How helpful do you find Julian Hall’s equation shown above? Have you got a unique approach to leadership which keeps producing results for your team? Julian was just one of several great speakers I saw at the Business Show last week (he’s on Twitter @theultrapreneur and online here Tweets from the Show are hashtagged as #TBS2014 ). If you went to the Show I’d love to know what was your key take away from the various Speakers you listened to? Which of the connections you made was the most significant and why? Goals 2014: What Leadership Lessons Will You Take From #TBS2014 ? Hopefully what I wrote about the Business Show 2013 – on 30 November and 3 December last year – inspired you to go online, to see what you could learn from the coverage of that event. 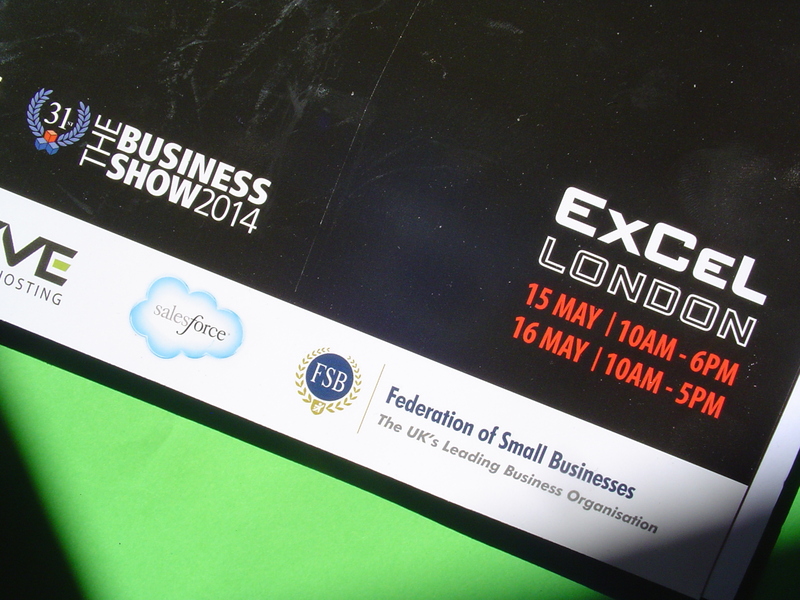 I’m refining my strategy for The Business Show 2014 , which starts tomorrow. Why not take a few minutes to look at the site and see what’s on offer (The Twitter hashtag #TBS2014 will be in heavy use over the next few days. too). This time around I have highlighted the Business Show presenters I want to listen to, as they deliver a service to others by sharing their stories. I’m sure they will generate plenty of questions from their audience, and there are a few questions I would like to ask them too. 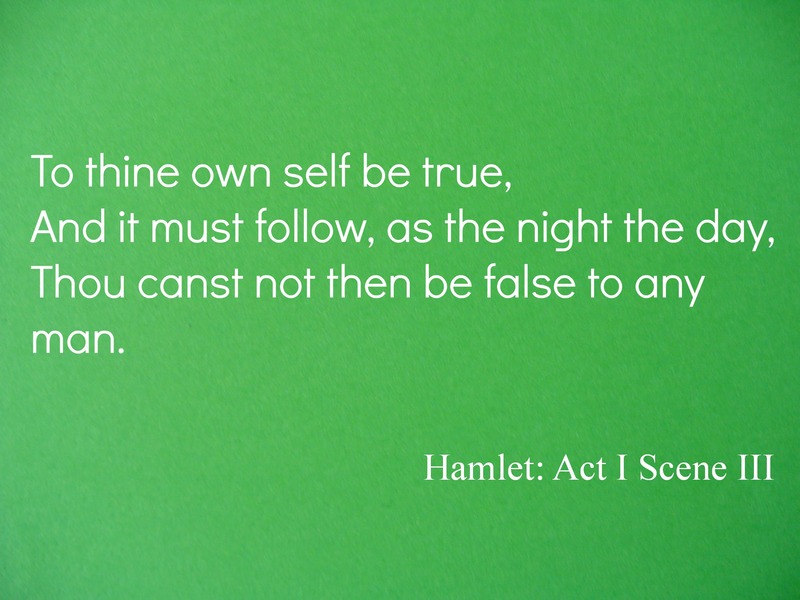 Goals 2014: Want To Help Yourself Live More Authentically? How is 2014 shaping up for you? Are you conscious of working against the easy flow some people seem to enjoy, in which they embrace their values and their authentic sense of self? If you find yourself out of step with the life you should be living there is action you can take: action which can help restore your flow and develop greater authenticity in work and life. How do you identify the type of authenticity Goal to focus on? You might want to focus on several key areas at first, but need to do a little work to identify which ones are causing you to feel inauthentic. Why not test your levels of authentic happiness here courtesy of Dr Martin Seligman at the University of Pennsylvania (free registration necessary). This exercise will help you pin point which of the 24 key areas you can usefully focus on. OK you’ve got your focus, now what do you do? You could try Continuing Professional Development, which has the potential to start moving you in the right direction. In the UK alone it is estimated, by the CPD Certification Service that more than 4 million professionals working in all sections of UK society are members of one of the numerous professional bodies, undertaking a minimum of 30 – 40 hours of CPD each year. How much could you gain in confidence and skills by pursuing a goal in your key area through some CPD? What are your options if you are not a professional? Perhaps you feel you don’t qualify as a professional and there are no formal CPD options you can pursue. How would you feel about exploring your lifelong learning options instead? In 1997 the Canadian Commission on behalf of UNESCO created the Learning Together template of resources, still in use today, as it identifies learning under 4 pillars: To Know – To Do – To Be – To Live Together. The Pillars are a great place to start your exploration of what it means to be a more fulfilled version of yourself. Whether you decide to grow by means of CPD or the 4 Pillars, which part of your life will you prioritise to improve your well-being? When will you take action to start to change your situation and live more authentically? By all means take a look at the further ideas relating to your work and life goals in the Archive section here, on Facebook and Google+ too. Or if you are a Linkedin user you can View Roger Dennison’s profile and connect with me there. 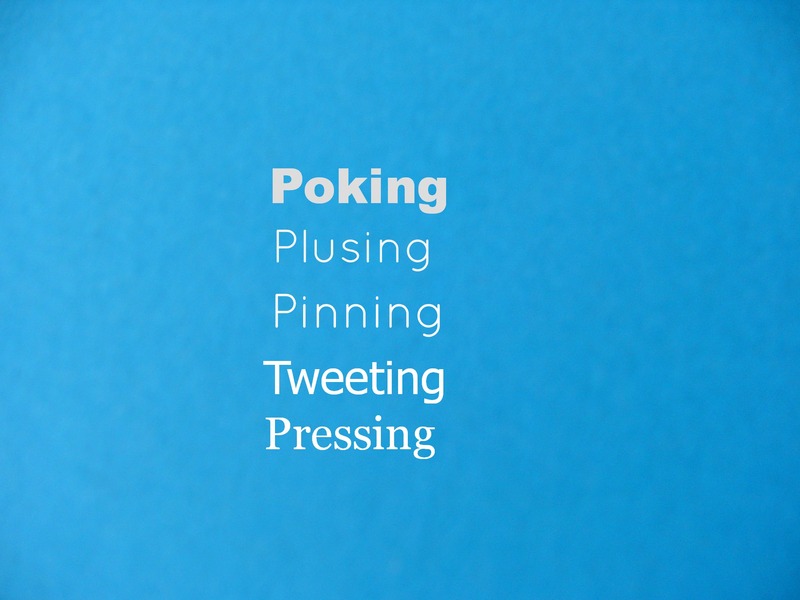 How many different channels do you use to pursue your social media goals and present your brand online to the world? As I researched this post I realised just how many social media channels there are, and how little time there would be to make the best use of all of them. That’s why I’m referring to just a handful of platforms. US data from 2013 undertaken by the Pew Research Centre (a non-partisan ‘fact tank’) is relevant here. They have broken down online activity to identify who is using social networking (73% of US adults are apparently) and where they spend time: Would you say your strategy is to form links with 16% on Google +, or the 22% of adults on Linkedin (which celebrates its 11th birthday on 5 May)? Connect with the 18% of adults using Twitter? Or do you relate more with the 71% of all adults using Facebook? Google+ How Is It For You? It is a timely question as JP Mangalindan, writing online for CNN Fortune and Money, has speculated about the platform’s future in a recent tech article How productive a space is Google+ for you? We’ve all visited sites where the most recent post was six months ago. Perhaps the site’s owner looked at their site statistics, felt it wasn’t getting enough traffic and abandoned it for that reason. I wonder what signal that sends to visitors and to corporations like Google who created the site? What story do your posts tell about your brand (well established leader in your sector, or attention worthy new entrant)? How many new visitors are you adding by posting? What do your visitors gain by looking at your site (insight from material you create; engagement with other peoples’ posts which you curate and repost; more information about your work)? When visiting your site on mobile devices do people miss out on some of the desktop content (or could they browse and even buy in both places)? Your answers to those questions can help you assess the return on the time you invest, in creating and curating social media posts. Feel free to browse the other ideas relating to your work and life goals in the Archive section here, on Facebook and Google+ too. Or if you are a Linkedin user you can View Roger Dennison’s profile and connect with me there. 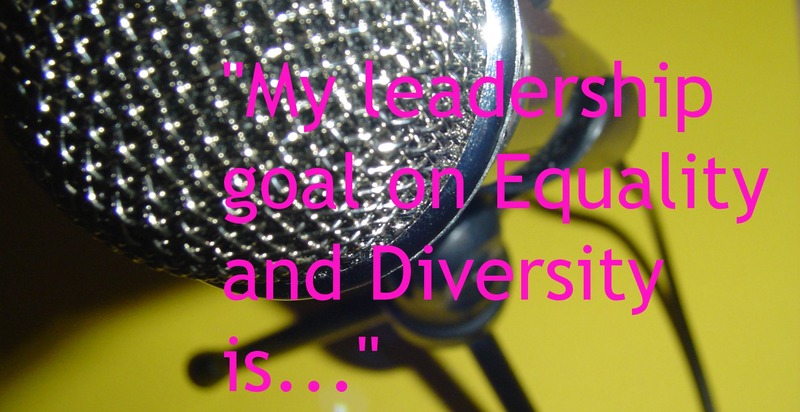 Goals 2014: How Well Does Your Leadership Reflect Your Equality And Diversity Goals? How Effective Is Your Leadership On Equality And Diversity? If you are like many leaders it is probably a challenge to get through your To Do list and deliver your everyday goals. If you prioritise your medium and longer term goals too, this post may appeal to you. What Effects Does Dominant Group Thinking Produce? Here is a 58 minute video by anti-racist speaker Tim Wise, which is worth a look, if you have time and you have stretching leadership goals which are inspired by your equality and diversity values. In case you haven’t time for the full video there are excerpts on Youtube which you can search for. To my mind the key take away from the video is this: Being in the dominant group can leave you thinking you have the luxury of not having to care what other people think. That attitude will make it harder to deliver on equality and diversity goals. The upside of dominant-group thinking is simple: You face no obstacles to getting your goals accomplished. You don’t experience anxiety. You also don’t need to spend time on reflection about the impact of your words. You can behave as you want to. After all, you are acting on behalf of people like yourself, aren’t you? How Do People From Diverse Backgrounds Respond To Dominant Group Thinking? People from diverse backgrounds in your current or potential audience may take a different view. On the least damaging end of the scale if you misspeak on a one-off basis you may not face any lasting consequences. Get in wrong often enough and the authenticity of your brand values may be called into question. What Are The Real World Consequences Of Sending Out The Wrong Equality And Diversity Messages? In the US, major league basketball franchise owner Donald Sterling has experienced some major consequences following media coverage of comments he made about the sort of person he wanted courtside. Being banned for life from the NBA and forced to sell his team, the LA Clippers for $850m, may influence him to rethink his approach to equality and diversity. In the UK, BBC television Top Gear’s presenter Jeremy Clarkson is reportedly on his final warning from the corporation, after another controversial week. Notwithstanding the 350 million viewers his programme receives globally he is having to rethink his approach to how he broadcasts. Thee are high profile examples, but I think the basic principles are applicable to businesses generally. Take a few moments to review your situation. How well do you feel your organisation is doing on Equality And Diversity at the moment? What Question Can An Authentic Leader Ask Of Themselves To Improve Their Equality And Diversity Focus? What action will I take, this month, as an authentic leader to help my organisation make better use of its diverse workforce (or to demonstrate our commitment to equality goals)? Feel free to continue this conversation about the relationship between authentic leadership, your values, and equality and diversity within your organisation. 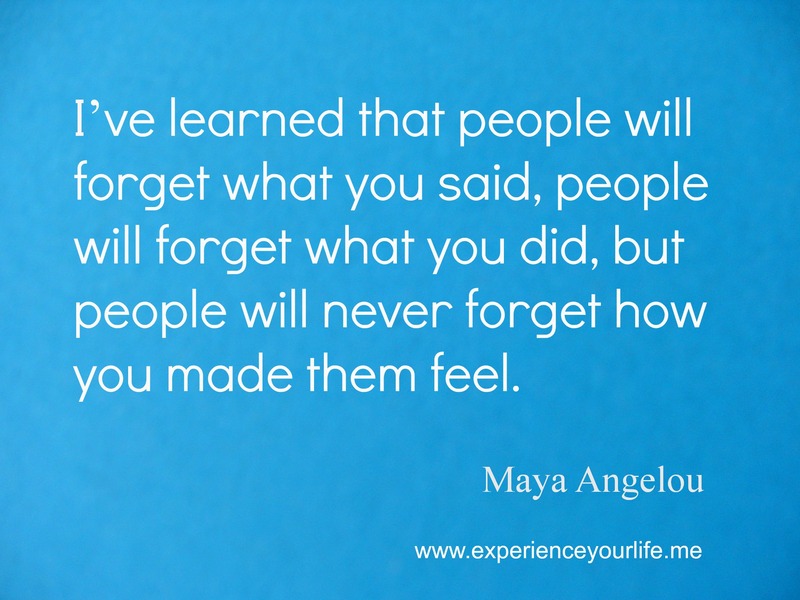 Do let me know what impact your action has, when you start to see some results.